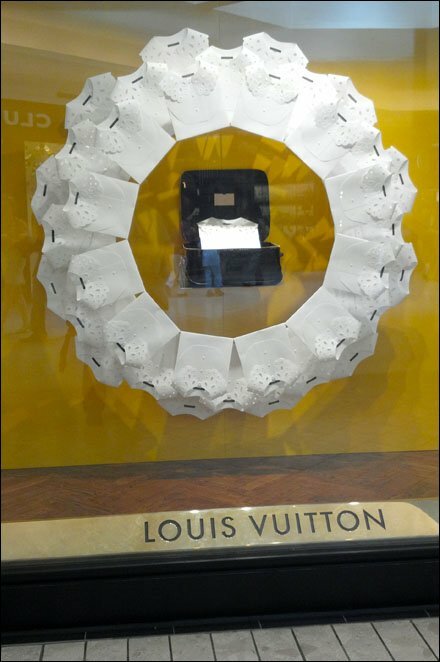 Not only did Vuitton field new window designs for Summer 2012, the geometric shape expressed by individual windows varies like this Louis Vuitton Summer Snowflake. How many hours did the Master (Mistress?) Window Dresser spend conceptualizing this series crafted of Faux Dress Shirts? … Not to mention construct it. 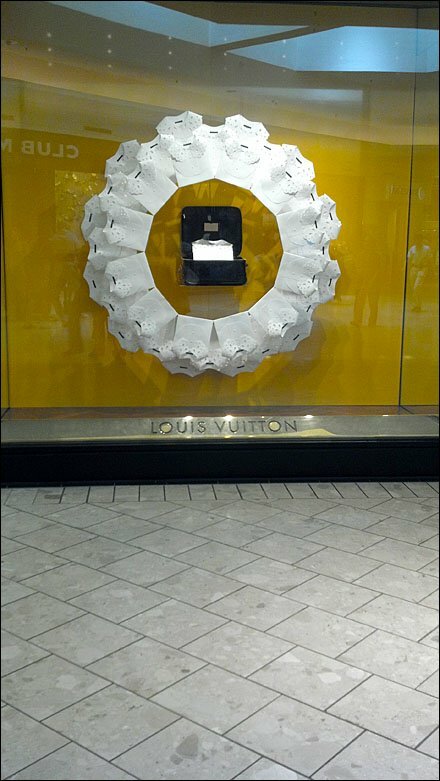 CLICK the thumbnail for a Louis Vuitton Summer Snowflake distant view.